We’re happy to announce that we’re soon releasing a new line of ultra high quality protective films. The new films are currently being manufactured and are intended to be a substantial upgrade over standard adhesive films. 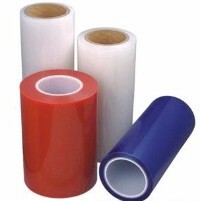 The adhesives used, the poly compound in the film itself, and the packaging are all going to be improvements over competitors’ standard films. These films promise to be rated for longer use, lessen the chance of adhesive transfer, and adhere better than most current films on market. We’re very confident that builders and homeowners alike will be very happy with the new film formulation. In the next week we will be receiving our new films and liquidating our older standard films, stay tuned to learn more about our new films, as we will be sending an email blast in the coming days detailing our new products. To learn more about protective films or any other products we offer, visit www.buildsitepro.com or email us at sales@buildsitepro.com. This entry was posted in Exciting New Products, Uncategorized and tagged adhesive film, carpet film, hard surface film, new products, protective film by admin. Bookmark the permalink.